A SAN, or Storage Area Network, is a group of high speed networked storage devices that are shared among a group of servers. The benefit of a SAN over other networked storage devices such as a Networked Attached Storage (NAS) is that a SAN provides block level storage. This means that the servers are able to utilize the storage on the SAN just as if the storage was locally connected to the server despite the actual location of the storage being somewhere different. SFTP, or SSH File Transfer Protocol, is a communications protocol that provides secure file transfer capabilities. SFTP is commonly used for sharing files in a corporate setting, web development and programming. In rare cases, SFTP may also refer to Simple File Transfer Protocol. This is an unsecured file transfer protocol which is now largely unused. 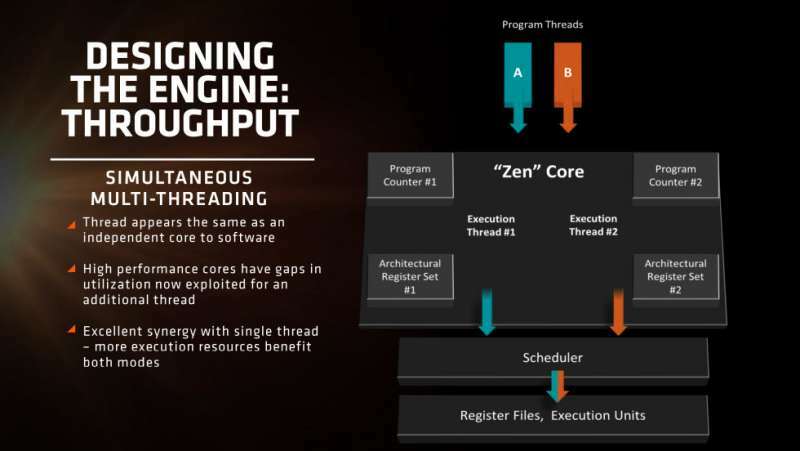 SMT in AMD CPUs is Simultaneous Multi-Threading, a technology which was first launched with AMD Zen architecture based CPUs. 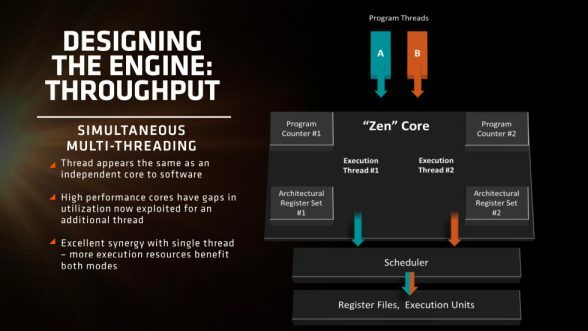 SMT functions similar to Intel’s Hyper-Threading in that it enables better utilization of CPU cores by doubling the amount of threads that may be processed simultaneously. Solid State Drives, or SSDs, are non-volatile storage devices in computers and other electronics that use NAND flash as its primary storage medium. Created as a way to store data on flash memory rather than spinning disks, SSDs are quickly replacing SSDs as the optimal storage medium in computers. Without having to wait for the actuator arm to read the data off platters, SSDs directly transfer data from the NAND flash memory, allowing them to achieve read and write performance many times faster than HDDs. 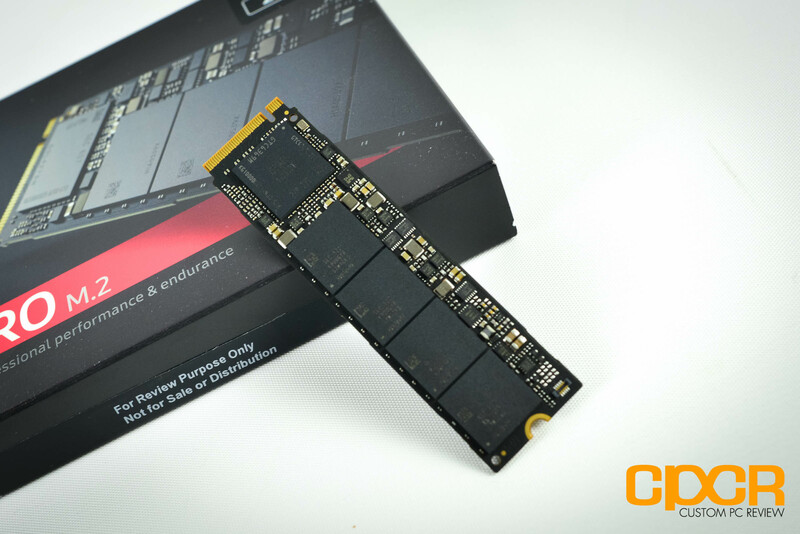 Further, as SSDs don’t have any moving parts, the drives are more power efficient, generate less heat and are resistant against vibration and impact. SSDs are fairly simple yet complex devices. Within an SSD are typically two main components: the SSD controller, a RAM chip, and NAND Flash. The SSD controller monitors the flow of data entering and leaving the drive and acts as the bridge between the drive and the computer. The controller also has a number of other functions, such as encryption, wear leveling, garbage collection, and error correction. The NAND flash is where the data resides. In order to login to Supermicro’s IPMI (Intelligent Platform Management Interface), the server you wish to connect must be connected via a network connection. The Supermicro server’s IPMI interface can then be accessed using Supermicro’s IPMIView software. More information on Supermicro’s IPMI system can be found on Supermicro’s website here.